Take a look at the events we have to offer and see what interests you! 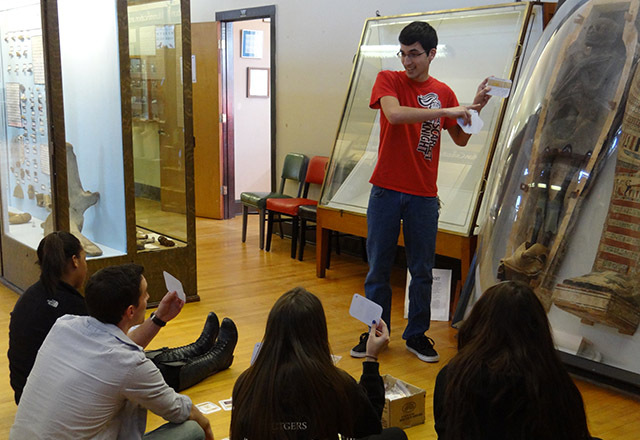 The Rutgers Geology Museum hosts a variety of educational activities and social opportunities for audiences of all ages. All of our events are offered to members and the public for free or for a minimal cost. The Geology Museum events aim to further our mission of educating the public on the latest ideas in geology, paleontology, anthropology, natural history and more. Check out our Event Calendar for the dates and times of upcoming events at the Geology Museum. Events are constantly being updated and added so check back frequently for the latest news.